Last updated 31 August 2018 . By Anisah Audu. I’ve never been partial to a Sunday roast. There, I said it. Intimidating mountains of food in some local boozer have never appealed to me, in the same way that a cup of tea has never been my thing. Call me a bad Brit, but I’m more of a brunch and cocktails kinda girl. Though when I heard that Quaglino’s was launching a Soul Sunday Lunch, I thought this just might be the one to change my mind. 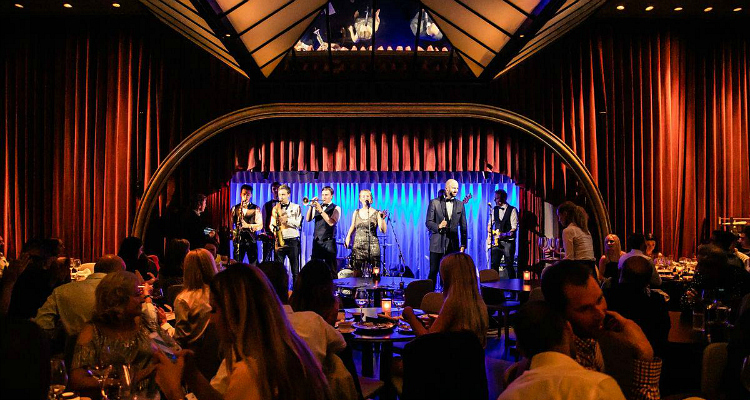 Glitzy surroundings and vivacious musicians set the scene for Quaglino's infamous Sunday lunch. Now, this isn’t your typical Sunday roast. Forget the pub lunch and boozy punters, because St James’s iconic brasserie is a cut above your usual. This autumn, the swanky Quaglino’s has upped its game with Sundays dedicated to live music and a twist on the classic sharing roast boards. First off, you’ll want to be suited and booted; heels, shirts… the lot. Secondly, and arguably most important of all, you’ll want to come hungry. Real hungry. Designed to be shared between two, the seafood platter (£55) changes every week, with a different signature catch taking centre stage. Ours featured a mouth-watering selection of perfectly cooked stone bass, devilled rock oysters and moules marinière in a creamy sauce. Drinks revolve around wine (£20 for bottomless); with red, white and prosecco (£23 for bottomless), and our glasses were full of fizz at all times. Delicious sides and juicy crustaceans pave the way for weekly-changing fish dishes. Musicians take to the stage for lively covers of old school classics and modern revivals. After a few glasses of wine, twenty-somethings needed little encouragement from the band to get up and dance. 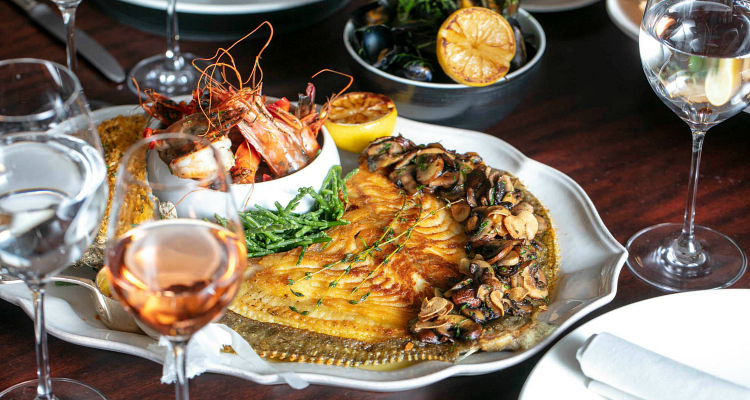 Quaglino’s may have been around for almost a century, but it's most certainly keeping up with the many new kids on the block... and it's definitely made me think twice about Sunday lunching. Soul Sunday Lunch is available at Quaglino's from 11.30am - 2.30pm every Sunday until 30th September 2018. 2 courses cost £25.00, 3 courses cost £29.00 and the seafood platter is a £55 supplement. Check ahead for upcoming performance schedules.